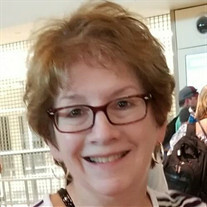 Helen Elizabeth “Libby” Ware, 66, died Friday, 10/19/2018. Born March 30, 1952, in Wichita Falls, Libby was a wonderful mother and gave selflessly to all. Funny, fabulous cook and avid traveler, she’s survived by a daughter, son-in-law, 2 grandsons + a host of family+friends. Services: Heath, TX pending and in Wichita Falls at a later date.